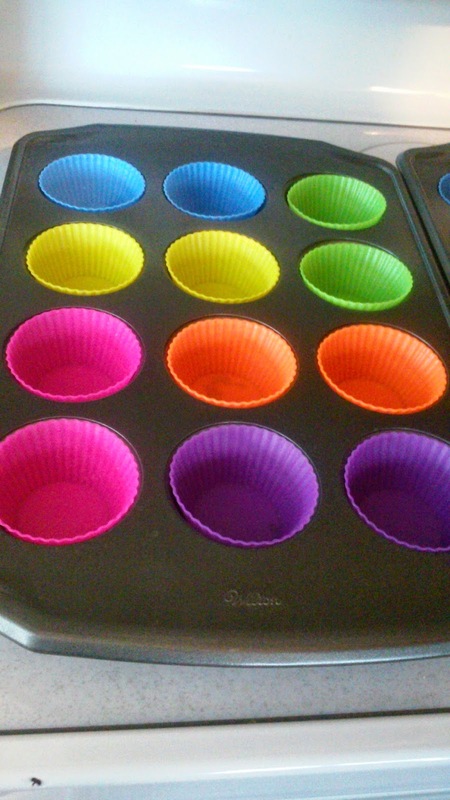 Today we did a test of these Silicone Cupcake Liners. The kids say that it is a delicious test lol. 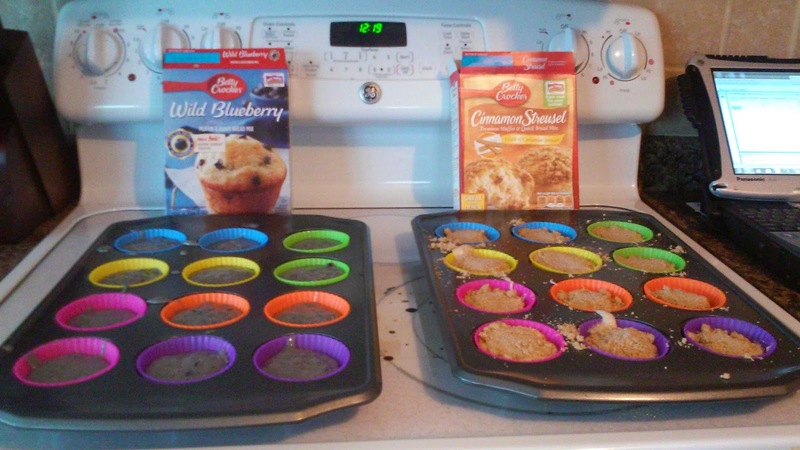 There are 24 cups in a package so we are making both K and G's favorite kind of mffins. 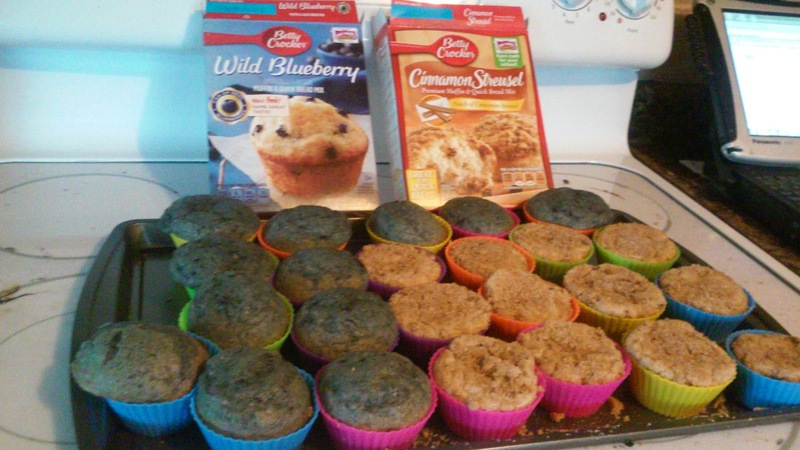 K likes the cinnamon streusel and G likes blueberry. The liners are available on Amazon for $8.99 here. 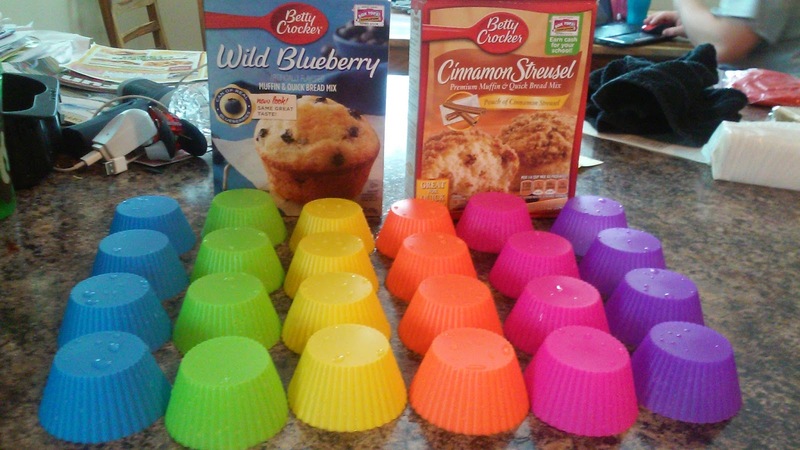 You get 4 of each color cup in the package so we did 2 of each color for each kind of muffin. Also they didn't come with any instructions and we were unsure of having to use cooking spray on them so we googled it and found it was hit or miss with this so we used it on half of each half. 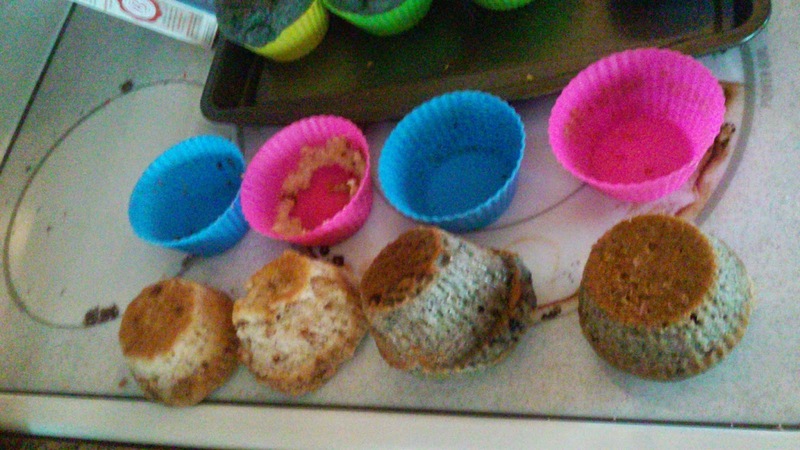 They baked for about the same amount of time as they would have with the paper liners in our oven so that is a non issue. The back 6 of each so purple, pink, and orange did not get sprayed and had minimal sticking. The clean up was a snap. Both the sprayed and unsprayed came clean with just a quick rinse. 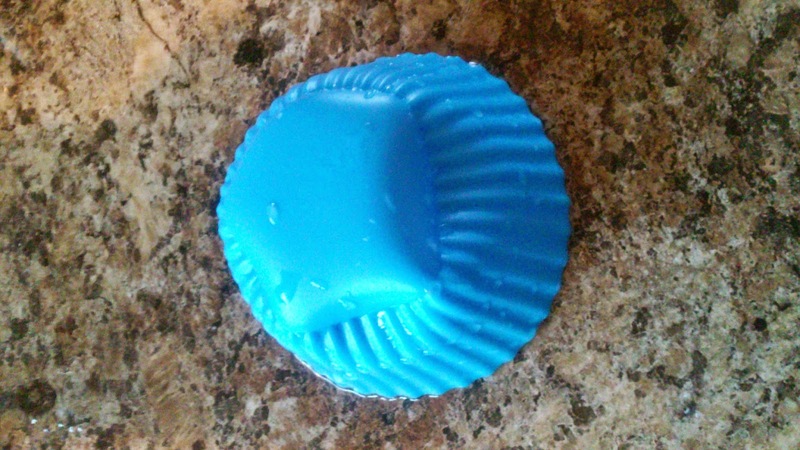 I am still going to soap them when I get around to doing all of the dishes but as for now thats what they get.